This design from Stipple! gives you unlimited creativity with no boundaries! Stipple! 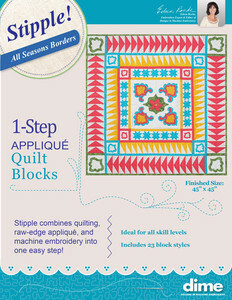 All Seasons Borders will give you the freedom to create like a true designer using Eileen's Build-a-Border technique! These borders can be applied in six easy steps! Be sure to check your owner's manual to be sure designs will work on your machine.